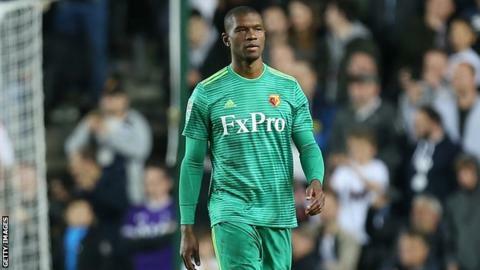 Watford have successfully appealed against defender Christian Kabasele's red card during Wednesday's Carabao Cup third-round defeat by Tottenham. Kabasele, 27, was sent off in the 81st minute after bringing down Spurs midfielder Dele Alli in the penalty area with the visitors 1-0 up. Alli scored the spot-kick and Tottenham went on to win the tie on penalties. He will now not serve a one-match ban so is available for Saturday's Premier League game at Arsenal.